THERES BEEN A FEW SHOWERS UP HERE AND LOOKS LIKE MORE TO COME , BUT THE RAIN HAS NOT BROUGHT THE RIVER LEVEL UP . ITS A MUCH FRESHER DAY WITH SOME OVERNIGHT RAIN AND THE CHANCE OF SOME MORE SHOWERS ,BUT THE RIVER LEVEL IS STILL LOW. ITS A SLIGHTLY FRESHER SUNNY MORNING AND THE RIVER IS STILL LOW AND IN NEED OF SOME RAIN. ITS A VERY WARM CLOUDY DAY AND THE EDEN IS STILL RUNNING LOW AND CLEAR. ITS A CLOUDY AND VERY WARM MORNING AND THE EDEN IS STILL LOW. LOOKS LIKE ANOTHER HOT DAY IN STORE AND THE EDEN IS STILL LOW. OVERCAST AND DULL THIS MORNING AND THE EDEN IS STILL LOW AND CLEAR. ANOTHER WARM DAY WITH SOME PATCHY CLOUD AND THE EDEN IS STILL LOW. IT LOOKS LIKE ANOTHER HOT ,BRIGHT DAY IN STORE. THE EDEN IS STILL RUNNING LOW ,BUT FISHING VERY WELL IN THE EVENING. ITS AN OVERCAST,WARM MORNING AND THE EDEN IS STILL LOW. YES , YOU'VE GUESSED IT ! 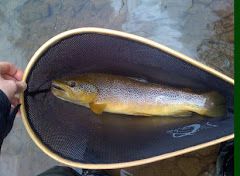 ITS ANOTHER HOT DAY AND THE EDEN IS RUNNING BELOW THE NORM ,BUT STILL FISHING WELL IN THE EVENING. ITS GOING TO BE A VERY HOT DAY AND THE EDEN IS STILL LOWER THAN AVERAGE. ANOTHER HOT DAY AND THE EDEN IS UNCHANGED. ITS A WARM DAY ALREADY AND LOOKS LIKE ITS GOING TO GET HOTTER. THE EDEN IS STILL RUNNING LOW ,BUT FISHING WELL IN AN EVENING. 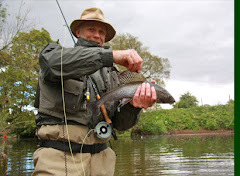 ANOTHER HOT DAY AND THE EDEN IS LOW , BUT FISHING VERY WELL IN THE EVENING. LOOKS LIKE A HOT DAY IN STORE AND THE EDEN IS IN GOOD CONDITION WITH THE LEVEL SLIGHTLY BELOW THE NORM. LOOKS LIKE A HOT DAY IN STORE WHICH SHOULD MAKE EVENING FISHING VERY GOOD. THE EDEN IS UNCHANGED. CLOUDY ,DRY MORNING AND A BIT WARMER THAN YESTERDAY. THE EDEN IS STILL IN GOOD CONDITION, RUNNING AT AN AVERAGE SUMMER LEVEL. 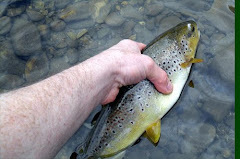 ITS A DULL AND OVERCAST MORNING AND THE RIVER CONDITIOND ARE GOOD. THE EDEN HAS NOW DROPPED TO NORMAL HEIGHT AND THE COLOUR HAS ALMOST CLEARED. VERY GOOD CONDITIONS. THE EDEN HAS NOW DROPPED AWAY NICELY TO A FISHABLE LEVEL ( WITH A TINGE OF BROWN) AND THE WEATHER IS DRY AND BRIGHT. ITS BEEN RAINING OVERNIGHT AND IT IS STILL RAINING LIGHTLY NOW. THE RAIN HAS BROUGHT THE RIVER LEVEL UP SLIGHTLY AND IT IS LIKELY THAT IT COULD RISE A BIT MORE , BUT IT IS STILL BELOW NORMAL HEIGHT. ITS A COOL AND CLOUDY MORNING WITH A FEW SPOTS OF RAIN. THE EDEN IS STILL LOW AND CLEAR , BUT FISHABLE. ITS A CLOUDY MORNING AND ITS COOLER THAN IT HAS BEEN LATELY. THERE HAS BEEN SOME RAIN BUT DON'T THINK THERE HAS BEEN ENOUGH TO BRING THE RIVER LEVEL UP. THE EDEN IS STILL LOW AND ITS A BRIGHT WARM DAY . ITS GOING TO BE A HOT DAY AND HOPEFULLY SOME OF THE FORECAST STORMS WILL COME OUR WAY AND TOP THE RIVER UP AS IT IS RUNNING QUITE LOW. ANOTHER HOT , BRIGHT DAY AND RIVER LEVELS ARE LOW. 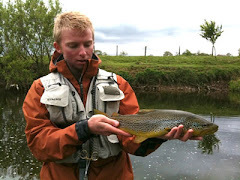 EVENING HATCHES ARE STARTING TO BECOME MORE PROLIFIC AND FISH ARE BEING CAUGHT. ANOTHER HOT DAY AND THE EDEN IS STILL RUNNING AT BELOW AVERAGE HEIGHT. ANOTHER HOT AN BRIGHT DAY IN PROSPECT. NOT VERY GOOD FOR DAYTIME FISHING ( UNLESS YOU FIND SOME SHADE ) ,BUT THERE HAS BEEN SOME EVENING HATCHES AND FISH ARE BEING CAUGHT. THE EDEN IS RUNNING CLEAR AND SLIGHTLY BELOW AVERAGE.